“One of the things that patients cry out the most for is having someone actually listen to them and understand them,” says Micke Brown, director of advocacy at the American Pain Foundation. Patients should think of themselves not as being a part of the problem, but as being part of the solution. This can be accomplished through education about their condition as well as treatment options, and by seeking out the support of others who are engaged in the same battle. Learning about potential problems ahead of time will enable you to become part of your pain management team. Seeing the wrong doctor. While some primary care doctors may take chronic pain patients, as a rule these doctors receive minimal training in pain management. The American Board of Pain Medicine is a great place to start your search for a physician who is trained in pain management. Taking extra pain meds when you have a flare-up, and then running out later. This can also cause you to have a “rebound effect” where you have more pain if you don’t take more medication….and more flare-ups over time. Not having a plan for how you handle refills. Don’t wait until the last minute to get your prescription refilled. Discuss with your physician how you are supposed to handle emergencies. Doing too much when you feel good, or taking pain meds to help you do more. This is a sure-fire way to feel bad later. Learn to pace yourself. Not getting help from professionals. Psychologists can help you learn techniques for managing your pain. You can also seek out a clinical social worker who specializes in pain management. Not keeping track of your pain. Keep a journal of your life for several weeks, it will help you as well as your doctor discover situations and attitudes that might be triggering flare-ups. Not changing your lifestyle. It may be time to look hard at your life and sort out what you need and what you don’t. Changes in your home and work life may be in order. 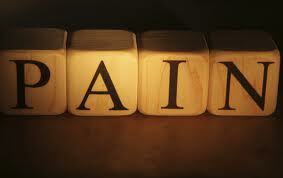 Trying to “tough it out.” Don’t downplay pain….get help. Not doing your own research. Doing research on your own behalf can lead your to new treatment options, improve your sense of control over your care, and help you ask your physician more direct questions. Have you made any of these mistakes? How is your pain being treated?